Those in search of a Ford, BMW, Chevrolet, Honda, and Toyota vehicle in Aurora, Denver, Centennial, Parker, Greenwood Village, or anywhere in Colorado don’t need to look any further. Here at our dealership, we have a wide selection of vehicles to choose from, and a team of specialists who have the knowledge and expertise to assist you throughout your car buying experience. Of course, we don’t limit ourselves to used car sales. You can also find auto finance options, car locator service, auto repair, and access to parts and accessories you need for your vehicle.You don’t have to spend a ton of money to drive a high-quality car at Auto Mart USA. Instead, you can drive an affordable used car to enjoy incredible bang for your buck! At such competitive pricing, you’ll have the chance to drive a safe and dependable car without exceeding your budget! Finding your ideal vehicle is the first half of the car buying equation. The second half is securing a car loan or lease that fits your current financial requirements. That’s something the team at Auto Mart USA is trained to provide, and they do so by sitting down with you, one-on-one. That way, we can learn more about the kind of payment you’re comfortable with, your long-term financial goals and address any other questions or concerns on your mind. Helping you choose a used car is just scratching the surface of all we have to offer drivers like you! We’ve learned that it’s essential to invest in quality car care to keep your car running like a charm for many years to come. That’s why we recommend bringing your car into our Service Center for routine maintenance and repairs. Our team of trusted technicians employ Genuine Ford, BMW, Chevrolet, Honda, and Toyota parts and accessories to return your car to its original quality and like-new condition before long! 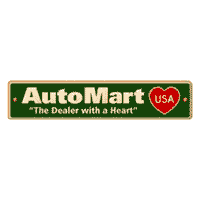 What else does Auto Mart USA have to offer? Aside from expert knowledge in everything automotive, we simply love serving you. So come see us today, conveniently located at 835 S Havana St in Aurora, CO. Be sure to bring your questions, and be ready for answers! If you see a car you like at a price you like, come in today! All prices are valid on date of publication only and are subject to change without notice. Because so much work goes into caring for your car, Auto Mart USA maintains an onsite auto service and repair department, staffed with mechanics that are trained to know Ford, BMW, Chevrolet, Honda, and Toyota models, specifically.